When you buy a new car, you expect it to be free from all kinds of problems. Unfortunately, with the passage of time, problems can develop with your car. This makes hiring a mechanic necessary for auto repair in Keller, TX. The major chunk of vehicle problems is associated with its electrical system. Hence, you should understand how the electrical system of your car works. The electrical system of your car is composed of the battery, starter, and the alternator. The battery is the main source of power supply for your car. All the accessories of your car including the headlights, indicators, windshield wipers, and the music system are connected to the battery. The starter gets power from the battery to make the engine run by moving the pistons present inside it. The third component, the alternator, makes sure that your battery remains charged while the engine is running. A faulty alternator will result in your battery not functioning properly. If you face any problems with your car, you should contact Import Car Center. We have the best mechanics for auto repair in Keller, TX. Always watch out for signs that indicate your car has a problem. We, at Import Car Center, have compiled a list of signs that reveal your car has electrical problems and needs to be taken to a professional mechanic immediately. Is your car refusing to start when you turn the ignition key to the start position? Well, your car might be behaving like this because of a problem in its electrical system. The most common reason why the engine refuses to start is a dead battery or a faulty alternator. It might also turn out that your battery is charged but the wires connecting the engine to the battery are damaged. If you face this problem, you should try to jump start your car. For this, you would need a pair of jumper cables and a helpful person who has a car with a working car battery. If your car starts using this method, it means that there is a problem with the alternator or the battery and the wires are fine. This indicates that you need to take your car to a mechanic for auto repair in Keller, TX. If the headlights or taillights of your car are not lighting up, you should know that your car’s electrical system is faulty. Dim or flickering headlights means that either there is a problem with the bulbs or, your car has a faulty battery. If one of the headlights is flickering that means you need to replace that specific bulb. However, if the whole lighting system is flickering, it means that the car battery is not supplying enough power to the lights. In any case, you need to consult a mechanic for auto repair in Keller, TX. They will help you troubleshoot the problem and make sure that your car’s lighting system is working properly. You might have noticed that your car has a wide variety of colorful fuses installed in it but do you know how they work? Fuses come in different sizes according to their power rating. Your car music system needs a different type of fuse as compared to your car’s lighting system. In any case, a fuse provides electrical safety by protecting your car’s electrical system from short circuit and overload. If the fuses in your car are frequently blowing, then you need to hire a mechanic for auto repair in Keller, TX. They will thoroughly inspect the electrical system of your car to find out why the fuses keep on blowing. Did you suddenly start smelling strange burning scents while you were traveling in your car? If yes, then you need to take your car for auto repair in Keller, TX. A burning smell can be a result of short circuit or overload. The wires carry more current than they can. This results in melting of wire insulation because of overheating. If you do not consider solving this problem as soon as possible, it will result in further damage to other electrical components of your car. You should immediately take your car for auto repair in Keller, TX. If your car’s music system has suddenly stopped working, you should take your car for auto repair in Keller, TX. A faulty entertainment system means that there is some problem with the wiring or the battery of your car. 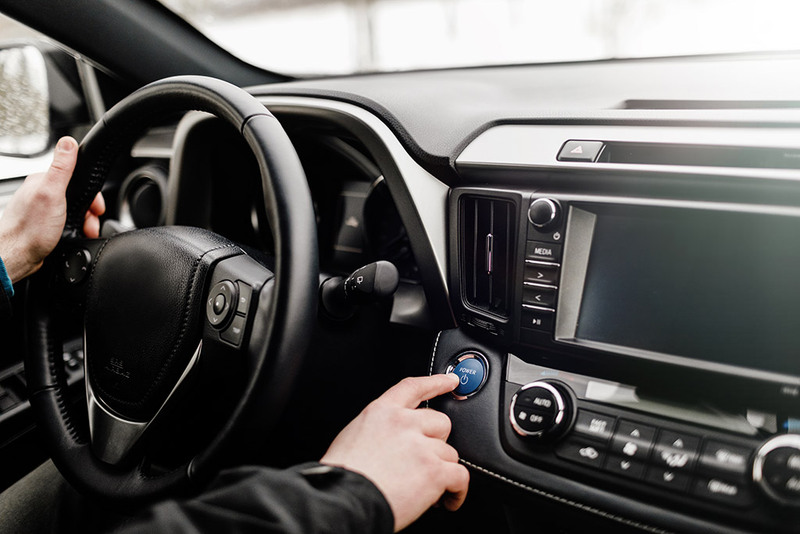 There can be many signs of a faulty stereo system such as faulty speakers, malfunctioning LED screen, or frequent disconnection of the music system. In any case, you should not brush the problem under the carpet because doing that will only make it worse. Your car has an inbuilt system that detects problems and warns the driver that there is something wrong with the car. In case of a problem with the battery of your car, you will notice a small battery sign light up near the speedometer. This is the simplest sign which indicates that there is a problem with the electrical system of your car. Make sure not to miss this sign from your car and immediately take your car for auto repair in Keller, TX as soon as you notice it. The mechanic will take a look at your car’s electrical system and make sure that everything is working perfectly. If your car is showing any of the above-mentioned signs, you need to take your car to a mechanic. Import Car Center has the best mechanics for auto repair in Keller, TX. We ensure that our mechanics offer the best services for your complete satisfaction. Click here to visit our website or give us a call at 817-481-5665.